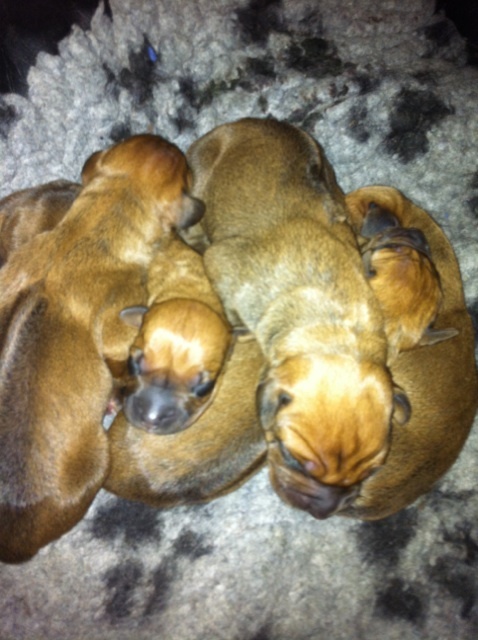 Our long awaited M litter is finally here :o)! 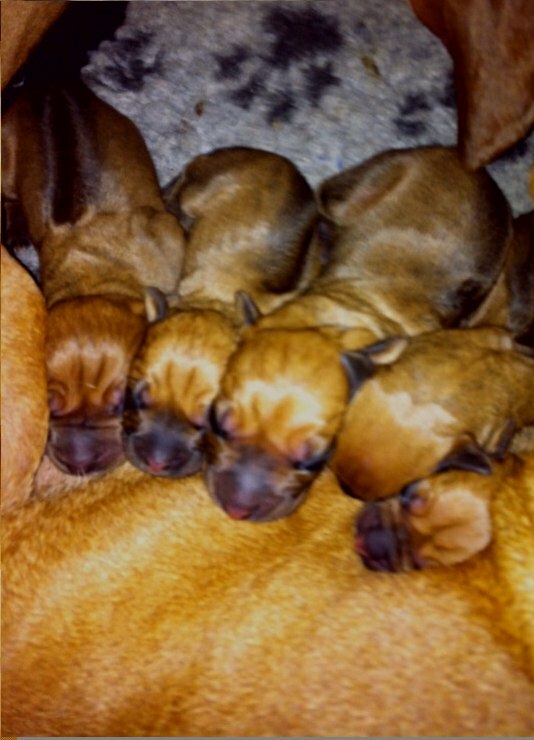 Felisia did great and she gave birth to 7 puppies one was stillborn so we have 4 boys and 2 girls left! One has an extra crown but the rest looks correct so far! Both my boys, Chango and Thanzi, are grandfathers to these pups which makes it even more special to me.